In a much-anticipated research paper on training lawyers to be ethical professionals, Shelley M. Kierstead of York University’s Osgoode Hall Law School and University of Toronto’s Erika Abner have published groundbreaking work in “Learning Professionalism in Practice.” How and where do lawyers learn to be professional? What are the modes of learning? Is professional ethics the responsibility of law society regulators, the legal academy, or the profession? 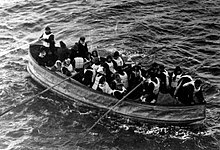 Can ethical lawyers bring “swimmers” onto their lifeboat? To review the abstract and paper, click here. For more information regarding the fellowships, visit the OBA Foundation Chief Justice of Ontario Fellowships site.